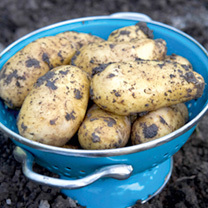 Late season seed potatoes (also known as the second crop potatoes) enable you to be able to grow your own potatoes from late October right up until Christmas day! 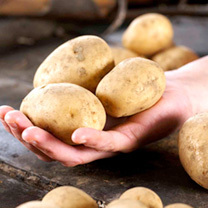 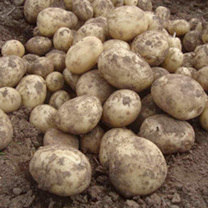 The potatoes are grown from tubers that have been stored at a precise temperature to keep them dormant until they are sent to you between June and late July. 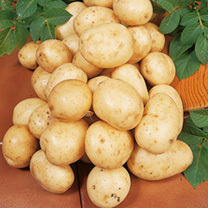 These seed potatoes do not need to be chitted and can be planted as soon as they arrive on your door-step; growing rapidly in the warm summer soil. 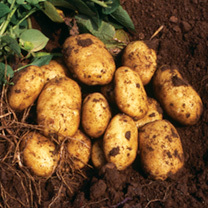 The tubers can start to be dug up and eaten from late October; but remember to leave some soil undisturbed so you can some mouth watering, just harvested potatoes on Christmas day!